We are delighted to announce great news for 2019–The Cape School of Art Open Studio–in one of the art sheds on MacMillan Wharf! Any past or current student who has an active $50 yearly membership will be entitled to display her or his work at the open studio on a consignment basis, as well as a 10% discount on gallery purchases and on all classes. The open studio will feature students’ original work, notecards with reproductions of teachers’ work, an invitation to kids to do block prints and of course, will be exposure for the school and our commitment to educate the public in the perception and use of color and light. 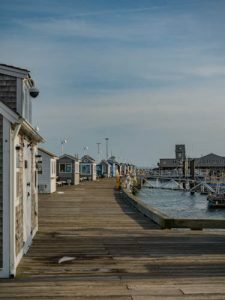 Foot traffic, because of the incoming and departing ferries, Whale Watches and day cruises, and the irresistible draw of seeing our beautiful Town from the unique vantage point that the pier offers, all mean that our Open Studio will have high visibility. Please become a member, give us the work you want us to sell for you, and be part of this new phase in our old and beloved story!